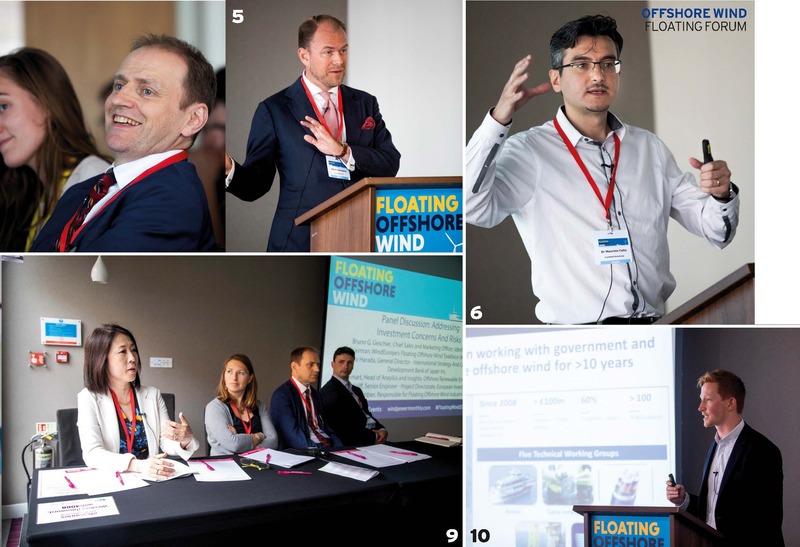 Appropriately enough it was Equinor, formerly Statoil, that opened proceedings at the Windpower Monthly floating offshore wind forum in London in late June. The owner and operator of the first — and still the only — multi-turbine floating wind farm, the 30MW Hywind Scotland project, used the occasion to mark another milestone in the development’s progress: the connection to the onshore substation of the 1MW/1.3MWh "Batwind" storage system. It is the first offshore wind project in the world to feature a battery, beating all fixed-bottom foundation sites to the measure. "This battery is not about storing for the summer time to achieve the same sort of capacity factors that we enjoyed over the winter," explained Sebastian Bringsvaerd, Equinor’s head of Hywind development. "It’s way too small, and, let’s get real, battery technology is not there yet. This is really about testing a business model, learning how to integrate the battery with floating wind, understanding the value drivers, and then creating business models around them," he said. "Our hypothesis now is that to justify a storage solution, you need to use value stacking. You need more than one value driver in your portfolio to make it worthwhile. "If you look at the balancing costs of wind farms in the UK, they are quite considerable. So, if you can store, if only for a few hours, and reduce your balance costs, then it actually starts to looks pretty interesting." Bringsvaerd also revealed some details of Equinor’s likely next step in floating-wind development — replacing the gas turbines deployed for enhanced oil recovery with floating wind turbines. "The CO2 emissions from our own production in the North Sea is the biggest single polluter in Norway," he said. "This will help reduce our emissions as an energy company. But we haven’t yet made a final investment decision, and we need to get the legal framework in place, and then get our oil and gas business on board. They need to be comfortable with how that is done from a technical perspective before we can talk about the details." Questioned on whether the oil and gas extraction programmes would build on Equinor’s expertise with spar floaters, Bringsvaerd hedged its bets. "I think so, but we’re not sure yet," he said. 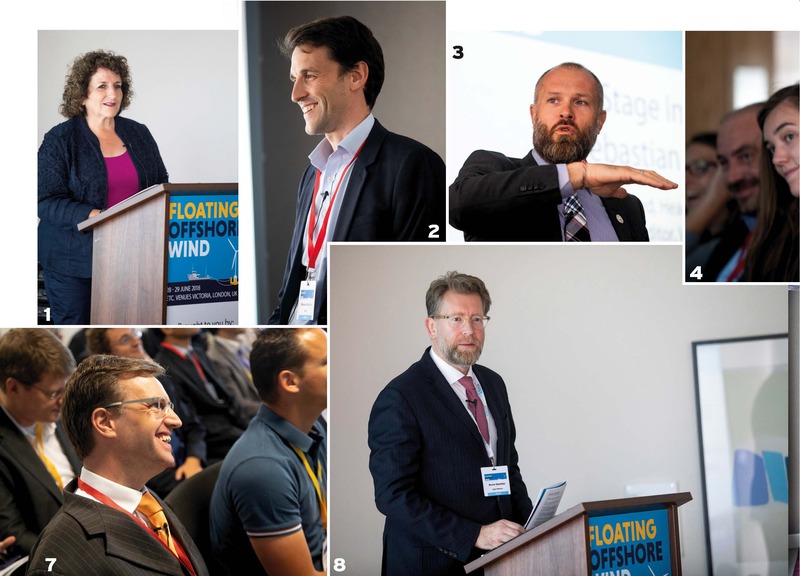 He also raised some tantalising notions on a future for floating offshore wind that went a long way beyond the standard questions of cost-effective electricity generation. For example, could deep-water, far-from-shore floating wind projects also act as "fuel stations" for electrically powered sea-vessels? Yes, sure, it sounds far-fetched, pie-in-the-sky stuff now, but who knows where the electrification of transport — on road and sea — might take us in the next couple of decades? 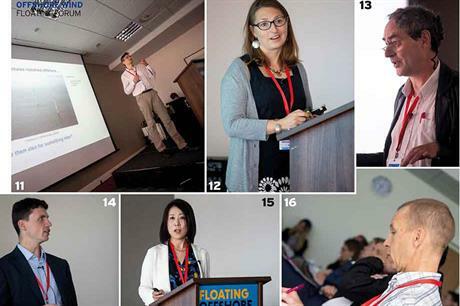 Equinor has successfully promoted the spar design for floating offshore wind development, but alternative solutions were examined and discussed over the forum. Rhodri James, policy and innovations manager for the Carbon Trust, made the pragmatic argument. "The market will play out," he said, when quizzed over the benefits and drawbacks of spar, semi-submersible, barge and tension-leg floating platforms. Water depths, wave heights, port facilities, distance from shore, wind-speed variations over the seasons, will play a huge part in which technologies will be adopted and where, he said. James also pointed out a number of supply chain bottlenecks that could hinder floating offshore’s development in the short terms, specifically the need for high-voltage dynamic cabling, catenary mooring lines and anchors. It has been estimated that a hypothetical 600MW floating offshore project, using 50 12MW turbines, would require 250 catenary mooring lines made of 35,000 tonnes of steel chain, plus 4,000 tonnes in anchors, and 250km of inter-array cables. Pascal Heisel, research and development director of French marine renewable energy firm Ceteal, unveiled details of the firm’s XCF concept (x-shaped, concrete floater), a modular semi-submersible design. Simplicity is the main driving force behind the project, he said, together with the requirement to keep overall dimensions at the minimum possible level to reduce space pressures at port and harbour facilities. Heisel said the XCF concept has been designed from the outset to accommodate turbines of up to 12MW. Alla Weinstein, founder of Trident Winds and a long-term leading light of the American Wind Energy Association (AWEA) provided a fascinating insight into the obstacles that offshore wind developers face in constructing projects off the coast of California. The state is a merchant market only. There are no subsidies or support schemes for any kind of renewables generation, and the huge number of permitting hoops that developers have to jump through, not least from the defence industry, would deter all but the most determined. It is a fascinating development, though, which Windpower Monthly will return to in the coming months. Jimmy Murphy, head of the ORE Research Group at the Marei Centre, University College Cork in Ireland, also sounded a firm warning note about developing floating projects in the Atlantic off the west coast of Ireland. Yes, the wind resources are excellent, but developers would ignore the difficulties of installation, and operations and maintenance activities in this very harsh environment only at their peril, he said. It rather summed up the mood of the forum: a clear-sighted view of the formidable challenges that floating wind faces, with the optimism that they will be overcome.